The location was great. Our room was on the side facing the road which was not great. Loud at night when people leave the bars. The mountain side would have been perfect. Where to find Bramans hotels near an airport? Where can I find hotels in Bramans that are near tourist attractions? 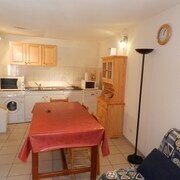 Are you vacationing in Alpes du Nord and are searching for an apartment or hotel in or around Bramans? Bramans features 4 quality hotels and apartments, all within 0.1 kilometres (0.06 miles) of the heart of town. 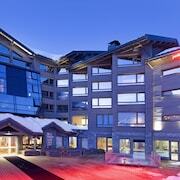 Within driving distance of Bramans, are the Hôtel L'Outa and Auberge Chalet Les Glaciers. You could also check out the La Sivoliere and the Le Hameau du Kashmir. The La Sivoliere is located 30 kilometres (19 miles) from the middle of Bramans. The Le Hameau du Kashmir, is located 25 kilometres (15 miles) away. 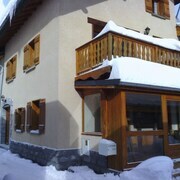 The Les Ducs de Savoie as well as the Hotel Le New Solarium are two other places to book accommodation around Bramans. Looking for more things to do? Why not spend some time enjoying Mountain Twister and Plan des Fours, which you'll find in Espace Diamant, 70 kilometres (44 miles) to the north of Bramans. 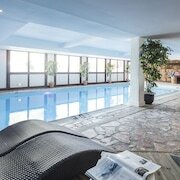 The Résidence Lagrange Vacances Les Chalets D'Emeraude and CGH Résidences & Spas Le Hameau du Beaufortain are just some of the great short and long-stay options in Espace Diamant. 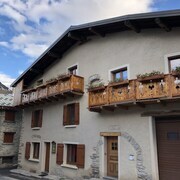 Or, you could consider staying in La Rosiere, 50 kilometres (30 miles) to the north of Bramans, where you'll find the CGH Résidences & Spas Les Cimes Blanches and Chalet Le Refuge. 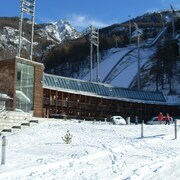 The Golf de la Rosiere and Evolution 2 are a couple of the popular places to see for those visiting La Rosiere. Just because you're on vacation, doesn't mean you can't enjoy your passion for sporting events. Hippodrome de Marlioz is 90 kilometres (56 miles) to the northwest of Bramans. If you are interested in staying nearby, make a reservation in the Golden Tulip Aix les Bains - Le Garden Hotel & Spa or Best Western Aquakub. Turin International Airport is a convenient airport, and is 65 kilometres (39 miles) away from Bramans. 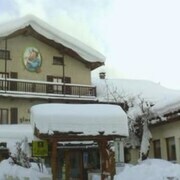 Nearby accommodation options are Romantic Hotel Furno and Jet Hotel. 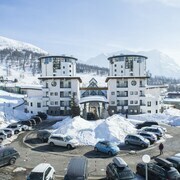 What are the most popular Bramans hotels? Are there hotels in other cities near Bramans? What other types of accommodations are available in Bramans? Explore Bramans with Expedia.ca’s Travel Guides to find the best flights, cars, holiday packages and more!